If you’re in NYC during October check out Lidija Slavkovic’s exhibition in Studio Vendome Projects. A Plan: Vacation, Lidija Slavkovic’s first New York exhibition, will be on view at Studio Vendome Projects (30 Grand Street, New York, NY) from October 22 – November 22, 2014. The exhibition will include drawings of landscapes made with acrylic, graphite, charcoal pencil, and coffee. The title of the exhibition A Plan: Vacation has a double meaning – the most obvious is one’s associations with seascapes and landscapes as vacation destinations. 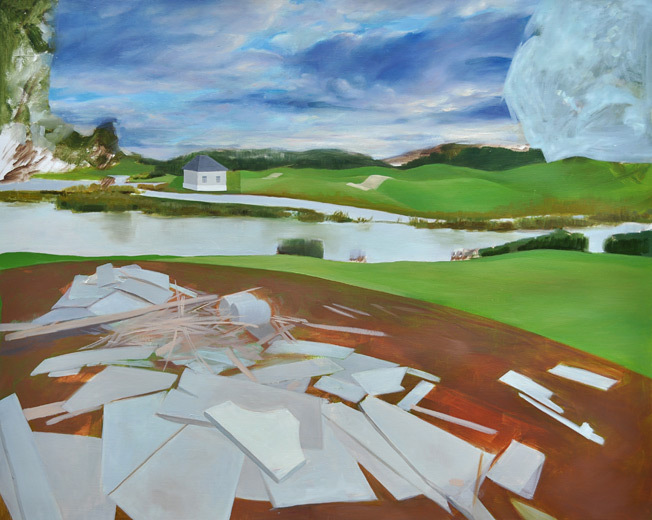 The more important aspect is that the title reflects how Slavkovic thinks about retrieving her imagery from what are generally considered “Landscapes,” and therefore immediately being reduced to metaphor. Born in Belgrade, Serbia, Slavkovic earned a BFA in painting from the Academy of Fine Arts in Belgrade in 1999. She lives and works in Belgrade, Serbia and Miami, Florida.